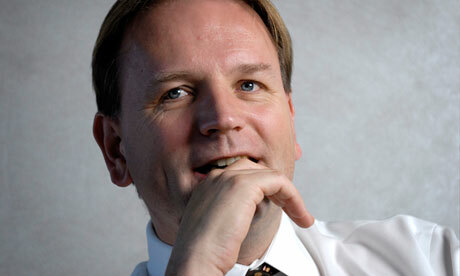 Two days ago NHS England announced that it had a new boss in Simon Stevens. In his illustrious career Stevens has managed various NHS services, been an advisor to two health secretaries, then-Prime Minister Tony Blair, as well as having experience managing NHS services and a giant American private health insurance provider. Steven's has had a lasting influence on the NHS in England as one of the architects of The NHS Plan, the command paper that extended the Conservative's introduction of internal markets within the state provider and introduced the 'concordat with private providers of healthcare' (DoH 2000, p.7). Steven's is one of the people directly responsible for the soft privatisation of health services in the UK. When the current Tory Health Secretary applauds Stevens as 'a reformer and innovator', we should hear in those words the same chilling meaning that "reform" and "modernisation" were given during the Blair years. Indeed, the return of Steven's to the NHS only goes to show the remarkable lack of distinction between the mainstream parties. Alongside the introduction of private providers that would become the disaster of PFI/PPP, Steven's work on the Plan also began the person-centred service design that emphasised patient choice. In doing so the Plan infected the NHS with the same consumer individualism that had already conquered most of society. The NHS Plan didn't simply accelerate the subjugation of health services to market logic and economic rationality; it also introduced all those spurious commitments to reducing waiting times and the number of people on waiting lists. Thus it ushered in the target-hitting fetish that has culminated in things like NHS Scotland's obsessive production of HEAT-targets for every aspect of service provision. These obsessive performance measures quickly generated a situation wherein 'targets cease to be a way of measuring performance and become ends in themselves' (Fisher 2009, p.43) and a massive 'post-Fordist bureaucracy' (p.49) in which performance measurement is generalised across all aspects of work and is carried out by all workers all the time, and that segues perfectly with the post-Fordist injunctions to never-stop-learning, to never-stop-developing, and to never-stop-self-assessing. The argument runs that such a system of auditing, and its subjective introjection via reflective practice", is argued to allow any clinician or clinical team to improve, or be held accountable for failing to improve, their practice in a systematic manner. This is meant to allow for concrete guides on improving both individual and clinical team based healthcare standards and make it harder for poor practice to go unreported. However, in reality audit-fetishes and a practice of compulsive target-hitting become ends in themselves, and that the quality of clinical care in real terms is thereby diminished. In the same register as this criticism there are ever-present anxieties that documentation work has been prioritised above providing medical and nursing care (RCN 2008). Of particular concern is the effect that this has on the time of healthcare workers to spend with their patients/client. This is an especially acute problem for mental health workers as building therapeutic relationships is supposed to be the main thrust of their practice. The arrival of new this bureaucratic form speaks detracts from actual care work whilst promoting an idealist simulation of care and produces a healthcare system that lacks any clear delineations of responsibility or control in the guise of any recognisable authority. Similarly, nurses (and other workers) are also expected to ‘take part in appropriate learning and practice activities that maintain and develop your competence and performance’ (NMC 2008) for safe practice. This is a requirement as the knowledge base that determines clinical best practice is constantly being modified and nursing interventions must also change in light of this . It is among the core roles of the nurse to ensure that their decisions regarding treatment improve patient’s conditions and lives; this might form the crux of any definition of the nurse’s role in ensuring quality care. While this is a necessary undertaking of all nurses to ensure that they provide the highest quality of care there are concerns over how this is undertaken. Any fetishisation of evidence-based nursing (EBN), with its strict delimitation of best evidence as that derived by the scientific application of randomised control trials, risks marginalising swathes of valid research. Included among these would be qualitative studies and theoretical investigations into patient’s actual experiences which policy highlights as being crucial to providing a high standard of ‘person-centred’ care. It is also hard to understand how any healthcare worker is supposed to keep themselves up-to-date whilst wards, units and community services are being targeted by austerity measures. These cuts will only get harsher under Simon Stevens given that he will be responsible for ensuring that the NHS reaches the £20billion saving target set for 2014. Given that Andrew Landsley's savage "reforms" of the NHS have been little more than soft privatisation (asset stripping; putting almost all service provision out to tender; bringing in firms like Virgin to operate hospitals; introduction of personal health budgets; and so on), we should be concerned that the new NHS top boss wrote a cheerleading piece in the Financial Times in favour of them. Thus health services are expecting to operate more efficiently, more effectively, and more safely whilst being increasingly understaffed with workers that are arguably undertrained. These problems are especially acute in metal health services given the chronicity of their status as a "cinderella" service. All the class biasing that the Blairite reconstruction of the NHS has generating, with better educated, affluent people being better placed to take advantage of the new health-market, isn't without its impact in mental health services. The facts remain that (whether by pathogenesis or drift) the majority of people experiencing extreme states of mental distress exist in states of poverty and long-term worklessness (Warner 2003). Given that welfare is also being brutally withdrawn from these most vulnerable people it is impossible to see this as anything but open class war. Meanwhile, the majority of workers with non-psychotic diagnoses of mild-to-moderate depressions and anxiety disorders will continue to have nothing offered to them except the minimal support of GPs, and cheap interventions like CBT and pharmaceuticals- interventions that lack any real long term evidence and that only serve to maintain and reinforce the conditions that produced their distress to begin with. That capitalism exhausts, overworks, overstimulates it's workforce and therefore is itself a huge pathogenic isn't addressed. Capitalism also produces an ever expanding surplus-population that is left in situations of despair that they are told they themselves are responsible for and out of which they are told they can't escape, whilst their communities, support networks, and basic access to health, housing, food and warmth are ripped from them. It's no wonder that we see report after report of people attempting suicide in Job Centres and other public places: a last desperate protest, a hopeless weaponisation of the vulnerability and hopelessness that austerity has engineered. England's new GP-led Clinical Commissioning consortia will be looking for ever cheaper services through withdrawal of funding, closure of services and rationing whilst finding ever increasing ways to offload responsibility onto patient themselves. This latter point is perhaps the most obvious reason for the drive in recent years towards ever more public health and health-promotion campaigns focussing on the more "easily manageable" disorders. Both mental and physical health services have not only pushed preventative psycho/biopolitical population-level interventions, but they are also been actively promoting individual patient self-management of disease and disorder. In effect, schemes like the Expert Patients Program aim to make savings by making patient's their own care worker: no need for a district nurse or a CPN- you can just do-it-yourself! Effectively this is "outsourcing" healthcare to the patient for no pay at the same time as her disability benefits are being taken away. Meanwhile, the NHS in England and Scotland have joined in a global shift towards prevention of mental health disorders that seek to screen ever younger people for the potentiality of developing schizophrenic or psychotic disorders (NHS Confederation 2011). These early intervention programs aim at preventing the development of psychoses by medicating teenagers that are judged to be high-risk or ultra-high risk. These young people are placed on extremely unpleasant and dangerous neuroleptic medications for prevention and prophylaxis of the development of mental illnesses that they do not have and that may never have. All of this is in order to reduce the demand for inpatient beds at precisely a time when there is a critical lack of inpatient resources. This shortage leads to homelessness, imprisonment and death for many people. Meanwhile, effectiveness studies cast doubt on the real benefit of these strategies (Marshall and Rathbone 2011) and on the truth of it's ability to reduce costs (Amos 2012). All of which is to say that Stevens has been an architect and will undoubtedly work to accelerate the neoliberalisation of NHS services in England. Neoliberalism seeks to "responsibilise" all individuals for all their perceived failures, and one of the surest ways to do that is to individuate them as isolated atoms: consumers, "mental patients", "service-users", and indebted bearers of guilt (cf. Lazzarato 2012). As I argued in a previous blog post in response to the Sun's article on mental health patients and violence, there is increasing evidence that this responsibilisation is being carried out through criminalisation too; the latest manifestation of this is the piloting of the street triage scheme that sees these nurses and police working together to respond to emergency calls. While some want to point out that this is a sad fact and wring their hands, I'd prefer to point out that it actually represents a dangerous conflation of police and therapeutic functions. If mental health services weren't consistently bearing the brunt of the neoliberal austerity measures the acute response teams might actually operate as the psychiatric emergency service they were originally concieved to be. Examining the state of play for mental health services across Britain, and not just in England, we've got a bleak picture that looks likely to become even bleaker. I don't want to be a pessimistic voice but with so little activism and militancy around issues of mental health coming from communist circles, whether anarchist or Marxist, it doesn't look good. To end, I would point out that tomorrow London will see a march organised around deaths in state custody - of which the majority are the deaths of people being detained by mental health services. This is a starting point- but much more needs to be done when we consider that capitalism in antagonism with life produces more and more toxic psychic fallout, and that more and more vulnerable people are being put at risk for the sake of surplus-value production. It would be naive to think that Stevens will do anything except attempt to accelerate the new strategies of capital accumulation. I included the key quote from the SPK because now more than ever it is crucial that we find a way to weaponise the concepts and experiences of illness and distress. The system as it stands is all too often abusive and neglectful...for all the benefit mental health services provide, and for all the kind, compassionate and dedicated healthcare workers in the world, psychiatry is still killing people. This is about nothing short of contesting the infrastructural organisation of health, mental well-being, care, and human empathy and the resistance of the commodification of essential services and biopolitical subjugation of distressed bodies. Solidarity to all those on tomorrow's rally. Amos, A. 2012. Assessing the cost of early intervention in psychosis: a systematic review. Australian and New Zealand Journal of Psychiatry. 2012: 46(8). pp. 719-734. Department of Health. 2000. The NHS Plan: a summary. Online. Fisher, M. 2009. Capitalist realism: is there no alternative? London: Zero Books. Lazzarato, M. 2012. The making of indebted man. Massachusetts: MIT Press. Marshall, M. and Rathbone, J. 2011. Early intervention for psychosis. Cochrane Database of Systematic Reviews. 15(6). NHS Confederation: Mental Health Network. 2011. Early intervention in psychosis services. Briefing. 2011; 19. Online. Warner, R. 2003. Recovery from schizophrenia: psychiatry and political economy. 3rd ed. London: Routledge. Dixon, A., Mays, N., and Jones L. 2011. Understanding New Labour's market reforms of the NHS in England. Online. The Midlands Psychology Group. 2012. Draft manifesto for a social materialist psychology of distress. Online. The system has made us sick. Let us strike the death blow to the sick system. Cheer Steven. I hadn't read that. I've actually read shockingly little of Aufheben's output despite liking what I have- esp. their stuff on unions.